The new BR-Series from Yamaha combines affordability with high performance. Built Right...Combining our knowledge of acoustics and advanced computer controlled woodworking, Yamaha crafts the BR line of sound reinforcement loudspeakers for both great sound and affordability. High power woofers provide amazing punch, and a pure titanium 1" compression driver assures excellent high frequency performance. Each model's large steel handles, corner protectors, and built-in pole sockets, assure both durability and flexibility. Better Response...BR cabinets are carefully designed for the best balance of small, easy to handle size and great low-frequency response, using Bass Reflex technology. High-frequency response is also enhanced with a new titanium HF driver and 90° by 40° non-resonant horn. Best Reliability...All BR-Series models are covered by a three-year warranty. With integral protection circuitry built into the passive crossover, you can expect a long life of high output and minimal distortion. Whichever model you choose, your message is sure to be heard using BR-Series loudspeakers...and you can take the savings to the bank! Dimensions W x H x D (approx) 15 3/4" x 22 1/2" x 13 1/4"
LOCAL PICK UP ONLY - NO SHIPPING! This comprehensive speaker lineup includes three models for front-of-house use, three models for monitoring, and three sub-woofers. 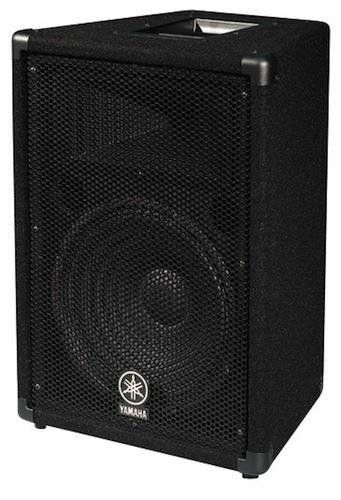 The front-of-house speakers are available with 12 inch, 15 inch, or dual 15 inch woofers, giving you a range of choices to suit your needs. For monitor speakers you have a choice of 10 inch, 12 inch, or 15 inch models. The subwoofer lineup has also been expanded and enhanced: in addition to a new 15 inch model, the previous twin-driver model (15 inch x 2) has been upgraded to an 18 inch x 2 configuration for even more commanding lows. The Concert Club V series and Concert Club VC series speakers provide dual phone jacks as well as dual Speakon™ connectors for input and parallel connection. 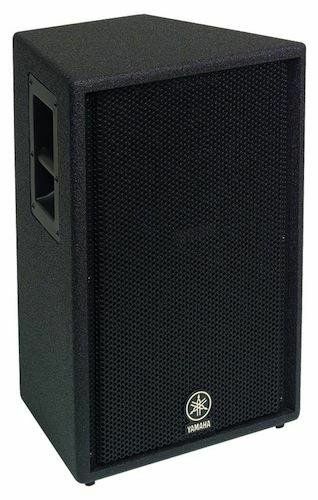 A high-performance PA system can conveniently be created simply by connecting a pair of speakers to an EMX series powered mixer using the phone jack outputs on a box-type model, or the Speakon™ connectors on a console model. When used in conjunction with P series power amplifiers and an MG series mixing console, you have the flexibility to add monitor speakers and a subwoofer to create a versatile live sound system. The YSProcessing (Yamaha Speaker Processing) switch provided on the EMX series powered mixers and P series amplifiers enhances performance with single-woofer models (S112V, S115V, C112V(A), C115V(A), and monitor models) for even greater sonic impact. The Concert Club series has achieved worldwide acclaim for its superior sound and durability, becoming a standard for audio quality and reliability. Painstaking selection of parts and components, optimized wood enclosures, and a thorough reevaluation of speaker capacity have given the new Concert Club series a robust sonic presence that takes their performance to a new level. Even as your system changes and expands years down the road, you can expect the Concert Club series to deliver consistently excellent audio quality. A classic, unpretentious design makes these speakers virtually timeless. The slightly rounded front grille enhances both style and durability. The Concert Club V series features a durable exterior with a carpeted surface, and large metal handles for improved portability. They're designed to endure the rigors of a sound reinforcement system that will be set up and taken down night after night. The Concert Club VC series features a stylish new appearance with a front grille that hides the speaker and a spray-finish exterior that can be repainted to blend in with any decor. As a much-requested solution to the problem of tweeter destruction that is a regrettably common occurrence in the equipment and studio rental business, the Concert Club series is provided with a protection circuit that prevents excessive tweeter input due to acoustic feedback or other causes. Except for the floor-type S215V/C215V models, all front-of-house and monitor models are equipped with a pole socket for use with speaker stands. You can place these speakers on a standard 1-3/8 inch diameter speaker stand for a variety of applications. The Concert Club VC series C112VA and C115VA models are specifically designed for installations rather than portable applications: metal handles and pole sockets have been eliminated, while barrier-strips are provided for secure, lasting connections. 3/8-inch eye bolt screw holes are provided on all sides - 3 each on the top and bottom, and 2 each on the sides and back - for convenient vertical or horizontal suspension (4 3/8-inch eye bolts are provided with each speaker). The C112VA additionally features screw holes on the top, bottom, and sides for bracket mounting. Optional brackets are available for easy baton, ceiling, or wall mounting.